The project began with the creation of a logo for Edge of Avalon Heritage Coast. This helped to establish a brand, and Vis-à-Vis made a focused effort to keep all the subsequent components consistent with that brand. 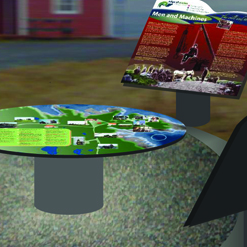 The signage placed along the road to Cape Race was part of a comprehensive marketing package for Cape Race-PCS Heritage Inc.: interpretive panels, maps, way-finding signs, highway and gateway signage, and print collateral were also developed, helping to deliver a streamlined visitor experience. 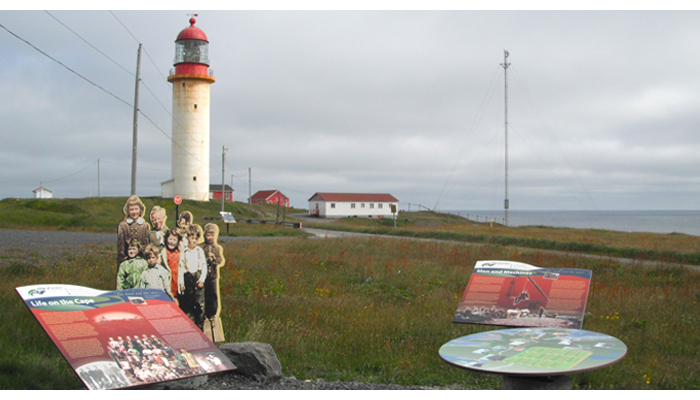 The stunning scenery of the area demanded creative solutions to the questions of shape and colour scheme. This helped to avoid obstructing the view without compromising information delivery.